I had the pleasure of meeting Vi and husband, Dan earlier this summer. 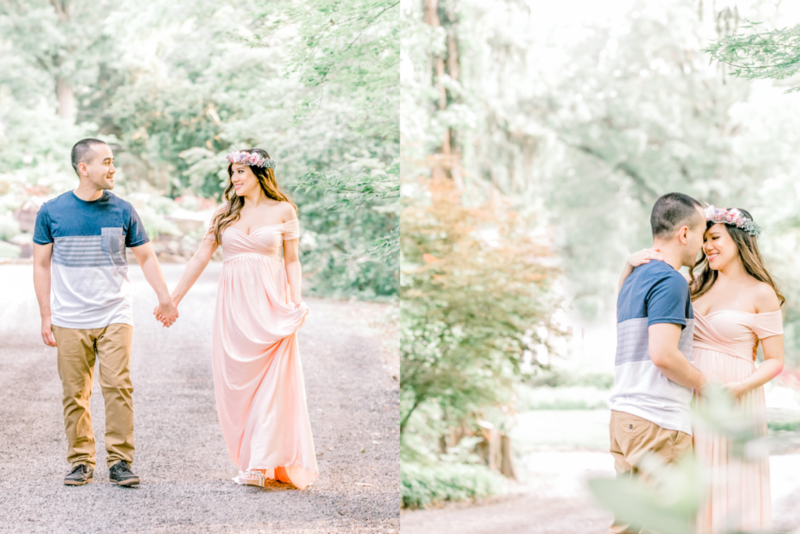 I know I say this about so many of my couples, but these two are so incredibly sweet! 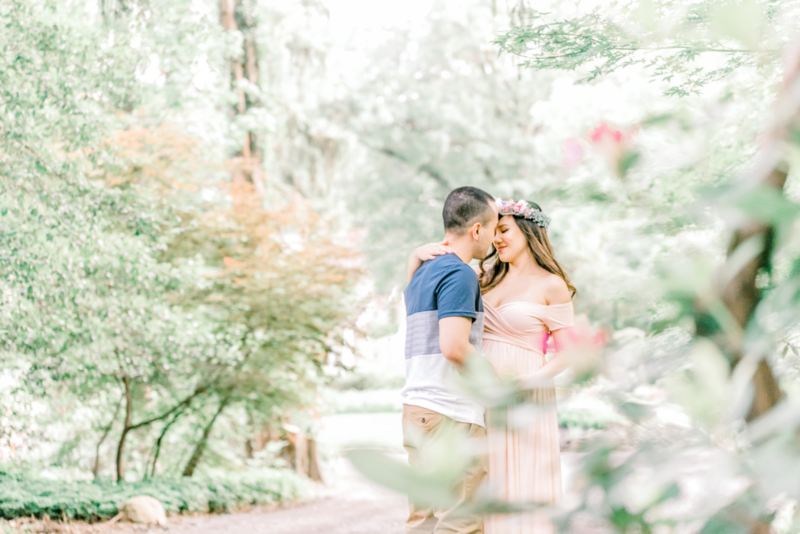 We met up at Sayen Gardens for their maternity session. 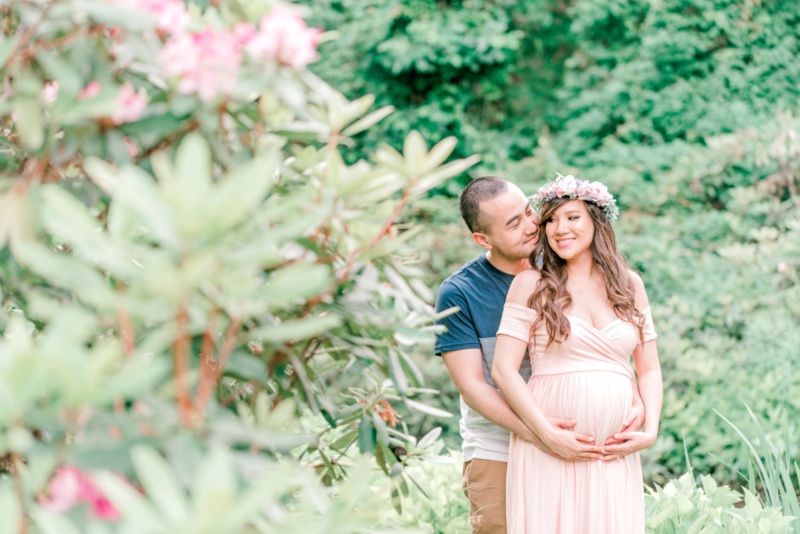 Vi was stunning in her pink gown and floral crown from Roses and Lemons. 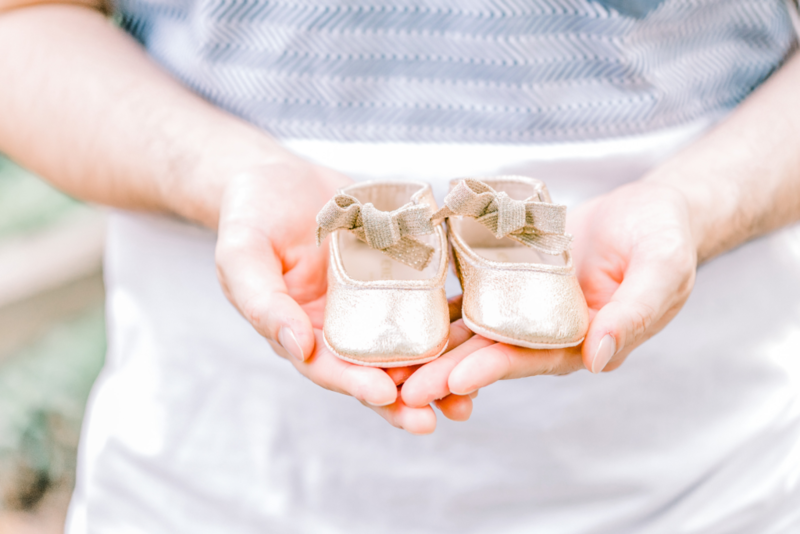 Below are a few from their session! 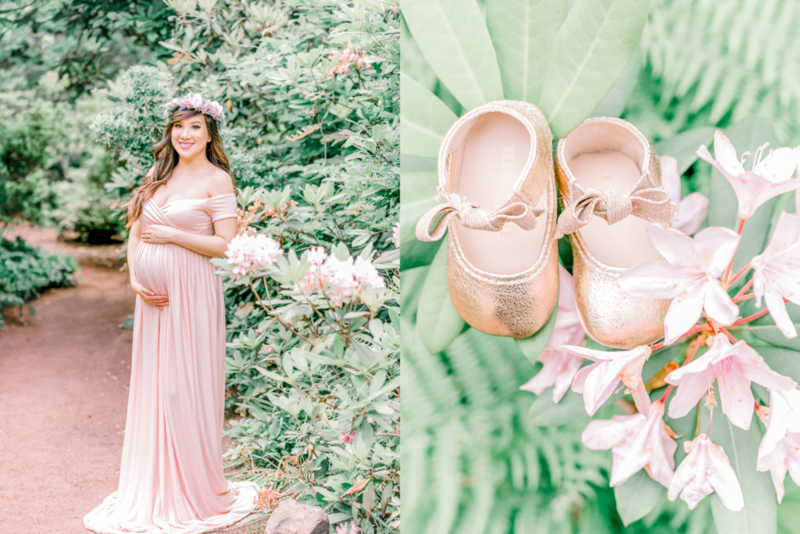 For my maternity shoot, I first browsed Pinterest and Instagram for inspiration. 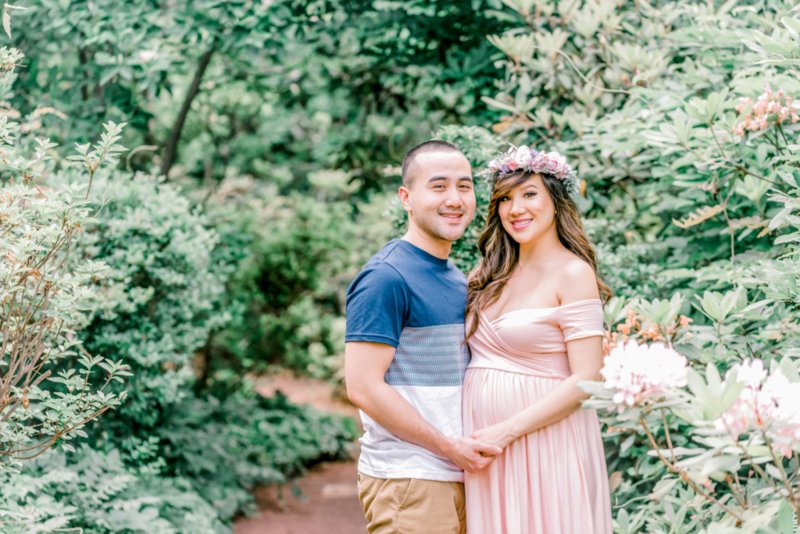 I’ve always loved flower crowns so that was already a no-brainer and I knew I wanted to wear blush pink since it’s my favorite color. I just love the feminine touch both add. 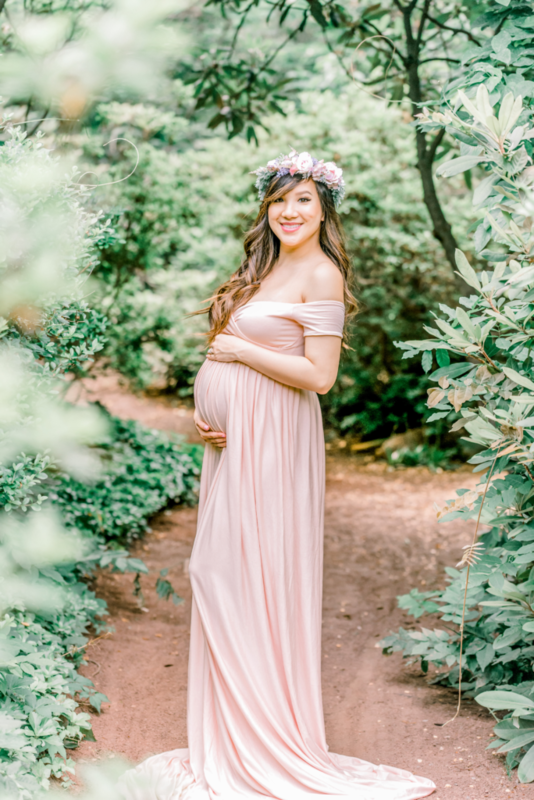 I then searched Instagram hashtags for maternity photographers around me and Jill’s photography stood out because they were bright and romantic which is how I wanted our photos to be. 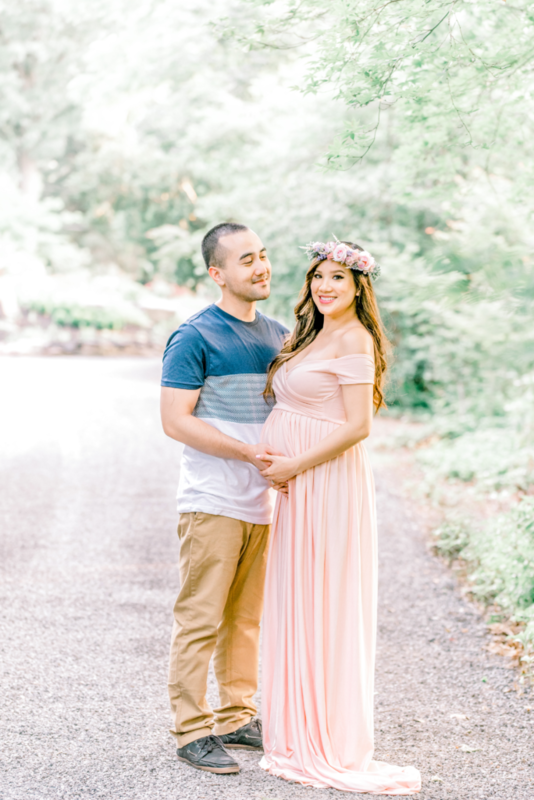 I loved how everyone in her photos looked so beautiful and glowing, rather than dark and dramatic like most photography I see in the NJ area. 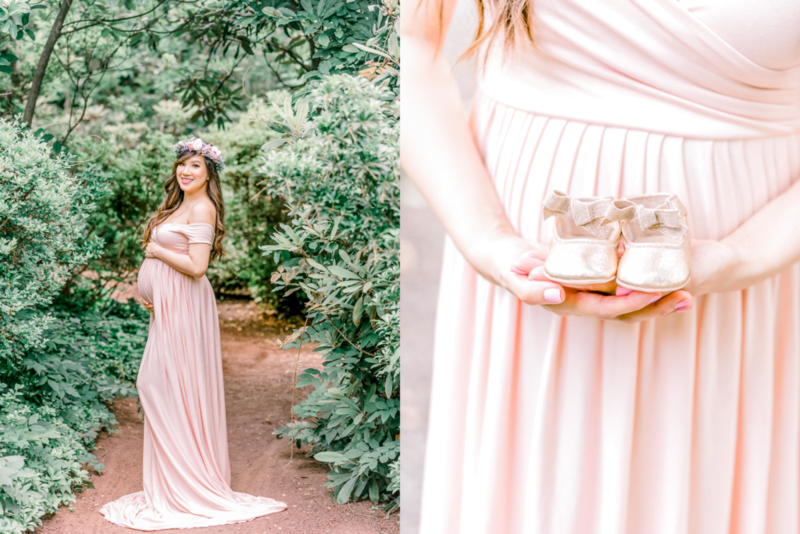 On her website, it mentioned, “If you envision your maternity session being in a field, with a long gown and possibly a floral crown, then I’d love to meet you!” That’s when I knew it’d be a perfect match. That’s exactly what I wanted and Jill didn’t disappoint! Jill was so accommodating to work with and super friendly that it made the whole process very enjoyable. 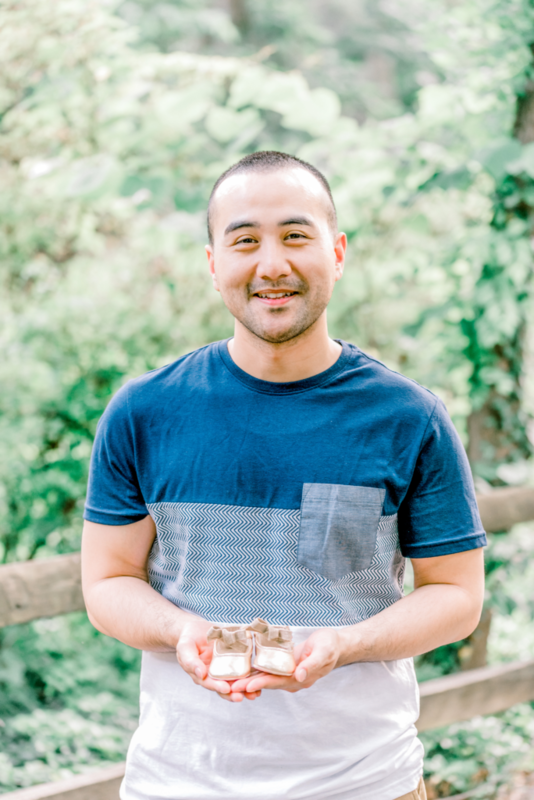 I’m so happy I got the chance to document such an important time in my life with Jill’s help! 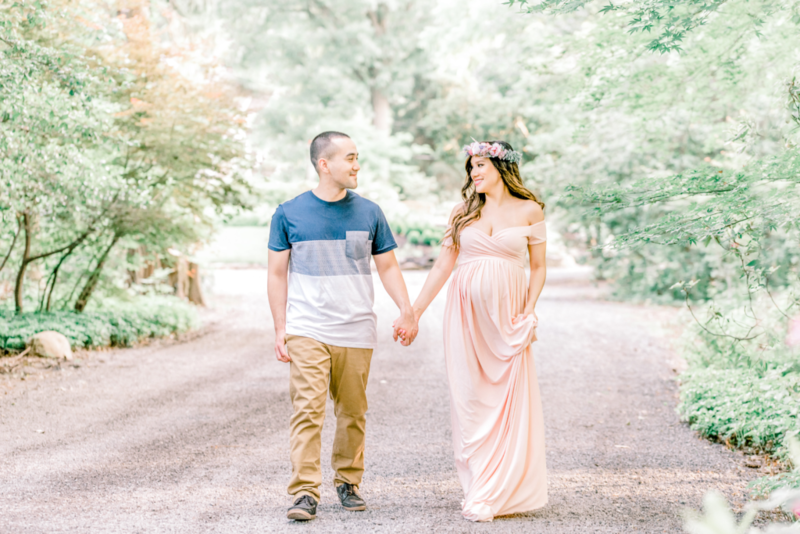 If you would like information about scheduling a natural light maternity session, please click here for more information!